With our conference on Invisible Communities: Working with older people from Europe and beyond coming up at the end of the month, Shereen Hussein, Senior Research Fellow at the Social Care Workforce Research Unit and co-founder of the Research On Workforce Mobility (ROWM) network, discusses her work on the Turkish community in the UK. There is increasing interest in the experiences of people who migrated in their youth during the mid-20th century and are now growing older in the UK and other European countries. While Turkish migrants are not as large a proportion of the UK migrant population as they are in other European countries such as Germany, they are a sizeable part of some migrant communities, especially in London. We have recently been working on collaborative research focusing on the experiences of older Turkish migrants living in London. This has explored their perceptions of ageing, of possible long-term care needs and their access to services. Sixty-six interviews with older Turkish migrants (aged 55 years or more; 34 women and 32 men) revealed two major themes, 1) ageing and belonging, and 2) identity in old age. Turkish migrants’ stories were full of accounts and examples of adjustments, compromises and nostalgia that surfaced in old age when labour participation and feelings of ‘importance’ started to fade. These feelings seem to be exacerbated by limited English language skills, resulting from living in relatively closed communities within the UK, working in ethnic economies and providing services for the Turkish community. Many older Turkish migrants interviewed showed signs of an ‘elective belonging’, referring to the way in which ‘place biographies’ have become less important when compared with personal biographies and identities. However, while the majority of older people interviewed appreciated being in the UK, they felt they had little choice over where they lived in retirement. Early findings also show that older Turkish migrants who have educated offspring are more likely to be aware of their needs and how to access services. However, there were high expectations of family members, with family and kinship being centre-stage in later life. For some the strength of these ties could be tested in challenging situations. Moreover, older women felt strongly that their duty to care for their husbands, their children and their grandchildren was paramount. Despite or perhaps because of this, some older women did not feel that they were important or well supported. The findings have wide implications for services and resonate with the experience of other older Black and Minority Ethnic communities in the UK. They highlight the need for more culturally appropriate services. It is also important to raise awareness of existing support to avoid social exclusion and facilitate access and participation, including volunteering, among older Turkish communities. The findings will be discussed in more detail at the upcoming event, Invisible communities: Working with older people from Europe and beyond (30 January 2013), taking place in London. The experiences of older Turkish migrants living in Denmark is also a research interest of ROWM network member Dr Anika Liversage and her colleagues at the University of Copenhagen. In a recent visit to the Unit, Anika and I discussed potential similarities between Turkish migrants in the UK and Denmark. We observed the importance of migration history, changes over time or trajectories, and how the ways older Turkish people lived their lives shapes their ageing experiences. I am conducting this research with Dr Sema Öglak (Dokuz Eylül University, Turkey). We are both members of the Research On Workforce Mobility (ROWM) network. The ROWM network is flourishing (new members are always welcome), with members from around the world intent on improving our understanding of the intertwined relationships between migration and long-term care, both for those receiving and providing such care. 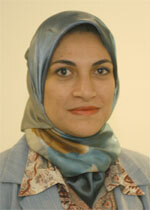 Dr Hussein is Senior Research Fellow at the Social Care Workforce Research Unit, King’s College London. She tweets as @DrShereeHussein.